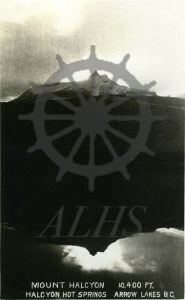 Documents for Creator: Valentine & Sons' Publishing Co. Ltd.
2001.037.410 S.S. “Slocan.” Slocan Lake, B.C. 2007.011.4 Mount Halcyon 10,400 ft. 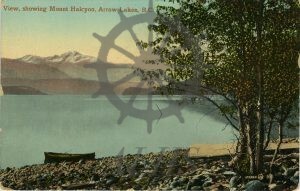 Halcyon Hot Springs Arrow Lakes B.C. 990.013.23 C.P.R. Line―S.S. 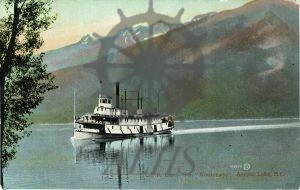 “Kootenay.” Arrow Lake, B.C. 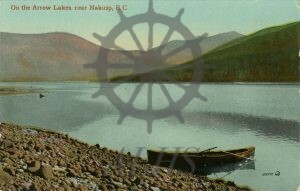 990.013.20 On the Arrow Lakes, near Nakusp, B.C. 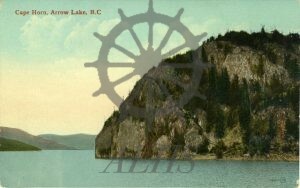 990.013.12 View, showing Mount Halcyon, Arrow Lake, B.C. 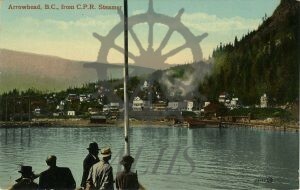 990.013.11 Cape Horn, Arrow Lake, B.C. 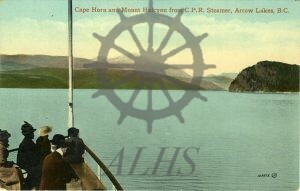 990.013.10 Cape Horn and Mount Halcyon from C.P.R. 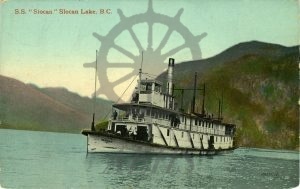 Steamer, Arrow Lakes, B.C.